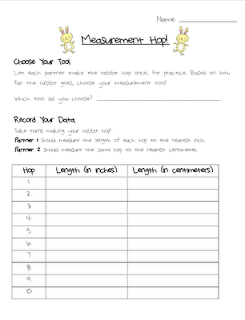 Luckeyfrog's Lilypad: Fifty Followers Freebie- Easter/ Spring Measurement! 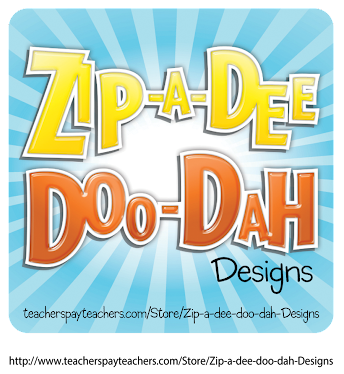 Thanks for stopping by my blog and picking up my freebie! 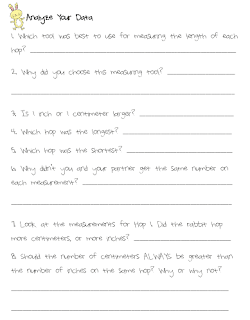 Love the Measurement Hop! What a cute and fun idea! :) Thanks for the freebie!! Cute!! My husband says we aren't allowed to go to Target RIGHT NOW, but maybe later. haha. I teach right along the Ohio border in a country school outside of Richmond, IN. Where are you? Thanks for linkin up to the Spring Linky! We are working on measurement in my classroom right now, so this is too perfect! We just started measurement too, so this will be fantastic for next week! i am currently doing my student teaching in second grade and this lesson sounds like so much fun. i only hope my target still has these bunnies :) thanks for sharing!! I love this! Super cute! Thanks for sharing!